DC Super Heroes Colors, Shapes & More! Everybody's favorite DC super heroes (along with some lesser known characters) teach kids colors, shapes, and more. 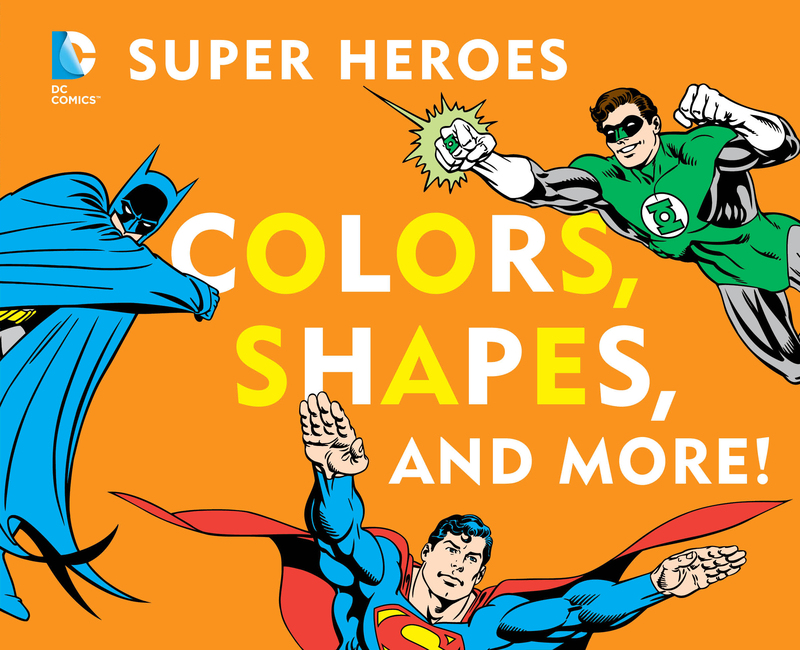 The Green Lantern is green, and Superman's cape is red--and they along with other favorite DC super heroes such as Batman, Wonder Woman, and the Flash illustrate colors and shapes for budding fans. Dads will enjoy reading this cool, colorful board book as much as their little ones. Book Cover Image (jpg): DC Super Heroes Colors, Shapes & More!